Injured At Work? Get The Team That Fights For You. We all need to work in order to live, and showing up for work each day is a part of anyone's routine. But what happens when you're hurt on the job? Your injuries could impact your finances directly, and that can leave you struggling to recover physically as well. While a worker's compensation claim is the first step to getting what you're owed, you also need a legal team on your side that can fight for you. The process of getting what you're owed isn't always as easy as it should be, and we'll make those responsible for your injuries pay for their actions. Worker's compensation is a type of insurance policy that protects employees and employers. When an employee is injured on the job, a worker's comp claim is filed. This pays for the employee's medical bills and provides compensation for lost wages as the employee heals. Every Florida employer with more than four employees - and construction related companies with just a single employee - must have worker's compensation coverage in place. You have 30 days to report the workplace injury to your employer. However, the faster you report the injury and file your claim, the more likely it is that your injuries will be completely covered under the policy. You must provide very specific details including witness names, location of accident, time and date, and the cause of the accident. Be very detailed during this breakdown of the accident to ensure that you get what you deserve. You will have to undergo a medical evaluation as well. This must be handled by an authorized medical provider that the employer chooses - you may not be able to go to your doctor, in other words. The employer chooses the medical provider. However, you could still seek a second medical opinion if you feel the need to. Your ability to receive compensation may also be impacted by being required to take a drug and alcohol screening. This is to prove that you were not intoxicated during the accident. From here, you will generally wait to receive back word as to whether or not your claim has been approved or denied. Basically, your claim will be used to help you stabilize your financial situation until you are able to heal enough to return to work. A workplace injury on its own could destroy someone's financial future, but with worker's compensation it's possible for those hurt to continue with their lives until they recover. We make sure that our clients get the proper amount so that they can focus on their physical health, not on making ends meet after an accident. If you're denied, you have the right to file an appeal through the worker's compensation appeals board. Denial is one of the main reasons that having an attorney on your side is so important - we fight to get you what you deserve and make sure that denials are appealed properly. Some may assume that it's an easy process to simply file a worker's compensation claim and receive the funds you are owed. But the reality is that worker's compensation claims are handled by insurance companies, and insurance companies will almost always do all that they can to avoid paying out a dime more than necessary. This means that they could use a variety of tactics to reduce what they pay to you - or to avoid paying at all. In short, you need someone that will stand up to the insurance companies and get what you're owed. With an attorney on your side, you'll have a tireless advocate who will fight to get you what you are owed. We negotiate with the insurance companies and make sure that you get what you deserve so you can move on with your life. A workplace injury shouldn't leave you struggling to make ends meet. We make sure that it doesn't. Do I Have Additional Rights? Yes, those who are injured may have additional avenues with which to seek financial compensation for their injuries. Worker's compensation is one of the first things to consider, but if the injuries that you sustained were due to the recklessness or negligence of an employer, you could also file personal injury lawsuits against them. Our lawyers can help with this. If your injuries were due to the recklessness or negligence of an employer, you could file a worker's compensation claim and potentially seek restitution from the employer through a personal injury lawsuit as well. However, employers and big corporations have deep pockets. They'll routinely do all that they can to fight those trying to seek compensation and avoid paying them a dime. The process of getting what you're owed can be long and difficult. 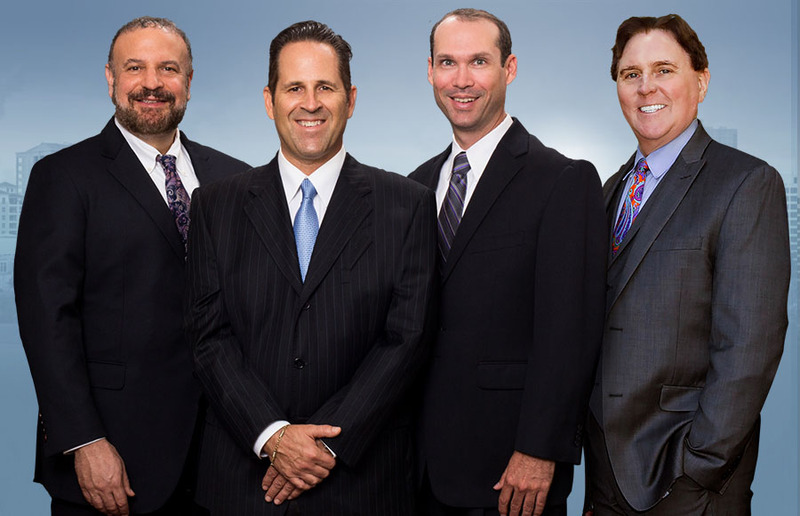 Our lawyers know how difficult your recovery can be, and that's why we stand up and fight those who are responsible for your injuries to make sure you get what you're owed. We handle the entire process for you and you only need to sign documents when needed. We'll let you focus on your physical recovery and get you the money you deserve. Contact us today to let us start fighting for you.